Senior Architect at Akamai. Interests: Image Processing, Health Informatics. 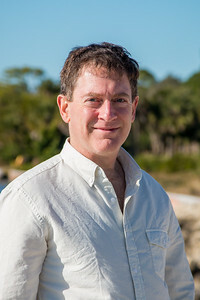 David Gillman joined the New College faculty in the fall of 2013. He returns to teaching after having worked at Iterated Systems, Inc., and Akamai Technologies, Inc. He teaches programming, software engineering, and advanced courses on computational tools, topics, and theory. His research interests are the Internet, image processing, and the use of computers for health care and the civic good. with M. Sipitca, “Conditional entropy coding of DCT coefficients for video compression,” Proceedings of the SPIE Symposium on Image and Video Communications and Processing, January, 2000.
with M. Sipitca, L. Hurd, “Reconstruction of bilevel images from a low quality JPEG,” Proceedings of the SPIE Symposium on Image and Video Communications and Processing, January, 2000. “A Chernoff bound for random walks on expander graphs,” SIAM Journal of Computing, volume 27, number 4, 1998.
with H. Kaper, M. K. Kwong, “L2-norm inequalities for the differentiation operator on compact intervals,” Proceedings of the Royal Society of Edinburgh, volume 110A, 1988.
with B. Maggs, R. Sitaraman, Y. Lin, “Protecting Mission-Critical Web Sites from Attacks”, Computer, volume 48, number 4, pages 26-34, April 2015.